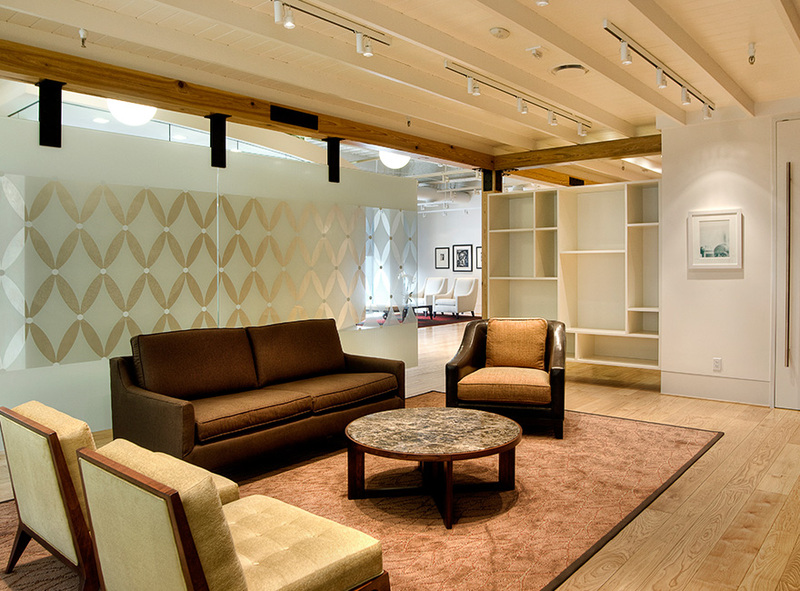 This non-profit organization, located in the Galleria area of Houston, supports numerous local charities and desired an office that embodied their generous, inviting nature. The design for their new space is built on the concept of a sophisticated loft atmosphere that welcomes guests and inspires staff. The entrance has open ceilings with exposed duct work and track lighting typical of loft style spaces softened by a one-of-a kind Persian rug over custom hand-scraped hickory floors which adds warmth and character to the lobby. The reception area sets the tone for material use throughout with dark oil-rubbed metal, white and red reduction varnish millwork, and a beautiful Onyx transaction counter. The curved wall of the adjacent conference room is finished with Venetian plaster adding texture to the space and providing a canvas to highlight the elegant lighting scheme. 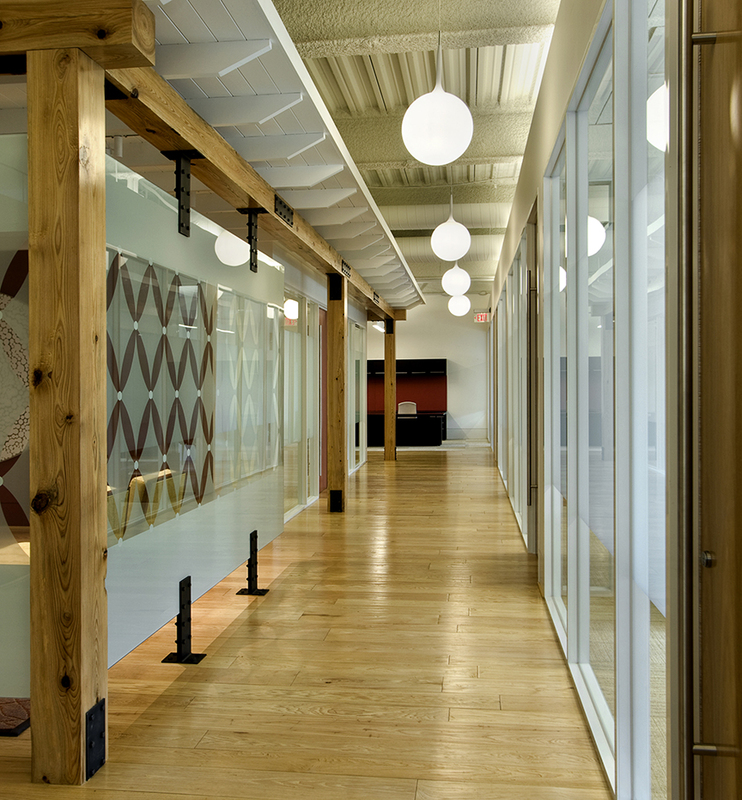 Solid vertical and horizontal Cypress wood beams lead to the main office corridor. 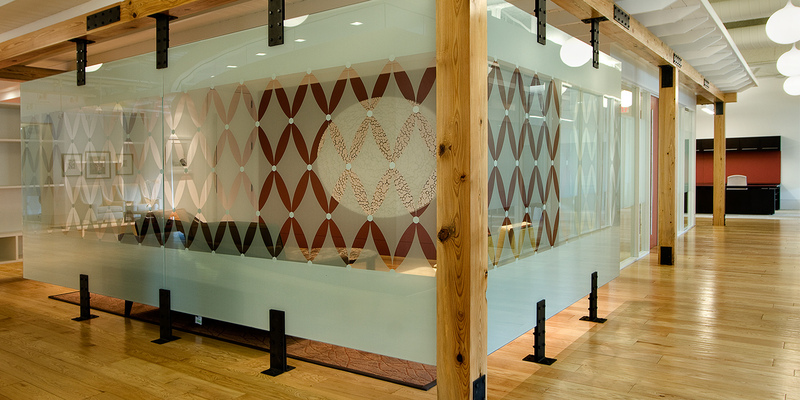 Every aspect of the design boasts thoughtful detailing from the two-toned office doors to the custom designed glass film partition. 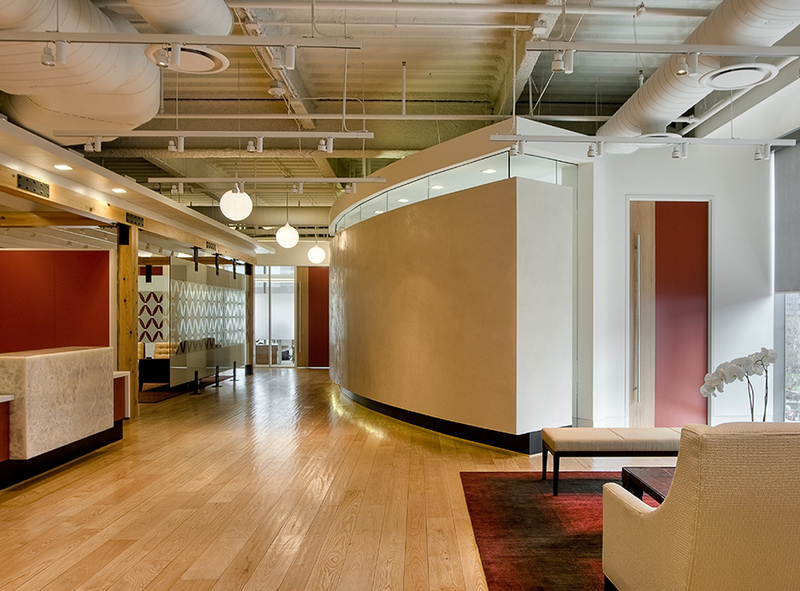 Heavy timber columns and beams define an intimate lounge area, juxtaposed to outer offices filled with natural light. Throughout the space open ceilings and exposed structural elements are balanced with natural woods and warm tones creating the sophistication of a loft while capturing the spirit of the hearts of those who work there.